Vail was magnificent the day I skied there a few weeks ago. We had bluebird skies, and despite Winter’s temporary retreat the snow was surprisingly good. The resort is vast and if my friend David hadn’t volunteered to guide, I would not have been able to see and ski as much of the place in a single day. He’s lived there several decades and knows it well. We started at Vail Village on Gondola One and worked our way to Two Elk Lodge on the ridge separating The Front Side from Vail’s celebrated Back Bowls. Eventually, we skied and rode our way to Vail’s highest elevation: 11,570′ at the top of Blue Sky Basin. Because of marginal conditions we chose not to go off-piste. From a few past visits, I know that powder in those bowls is great fun. But, vast as Vail is — 5289 acres and 31 lifts — powder gets tracked out by late morning. Secret stashes remain. David pointed out his favorites from the chair. 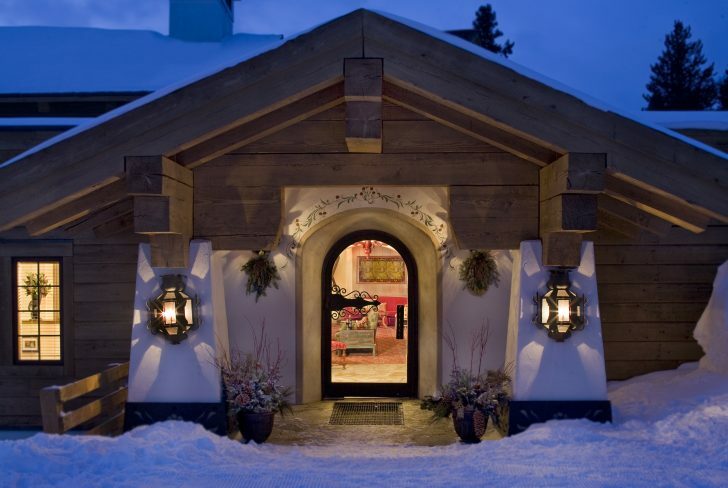 The resort is a top choice for senior skiers because of its long expanses of blue and single black terrain, chair lifts with foot rests, comfortable gondolas, and ample on-hill day lodges serving excellent fare. The few johns I visited were comfortable and clean. It’s also home of the Ski Younger Now, hosted by the Vail Ski and Snowboard School. 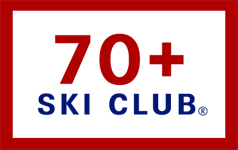 It’s a retraining program for older skiers and those returning to the sport after recovering from injury (see Ski Younger Now tips in Subscriber Only Content). After this weekend, remaining dates for the three-day workshop are March 13-15 and April 3-5. Like other large Colorado resorts, parking can be an issue. In past visits, I’ve had to park in remote locations and bus it to the lifts; one of my least favorite experiences. This time the car never left David’s driveway. A shuttle picked us up at his house and took us a few blocks to the hill. As can be expected, Vail Village and surrounding areas have a variety of high end lodging, restaurants, and retail, but reasonably priced options are available. A few years ago we found a nice, well-priced condo with indoor parking in nearby Avon. 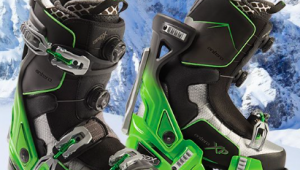 As long as conditions are good and the light’s not flat, I’ll ski any terrain. But I prefer to do it at my own pace. David, on the other hand, gets down the hill quickly. Throughout the day he waited patiently for my arrival. At one point we headed for Game Creek Club, a private dining facility in Game Creek Bowl. It is beautiful and accessible only via snow in winter. Game Creek is open to the public for dinner (night access via cat). Following lunch we made a few more runs. I began to feel wobbly. Some readers are accustomed to a lot of daily vertical, but this was my fourth day of the season, and having booked 20,000 vertical, I needed to go home. Because it has been a major destination for so long, many of you have had the pleasure of skiing Vail. If not, add it to the list. If you haven’t been there for a while, go back. 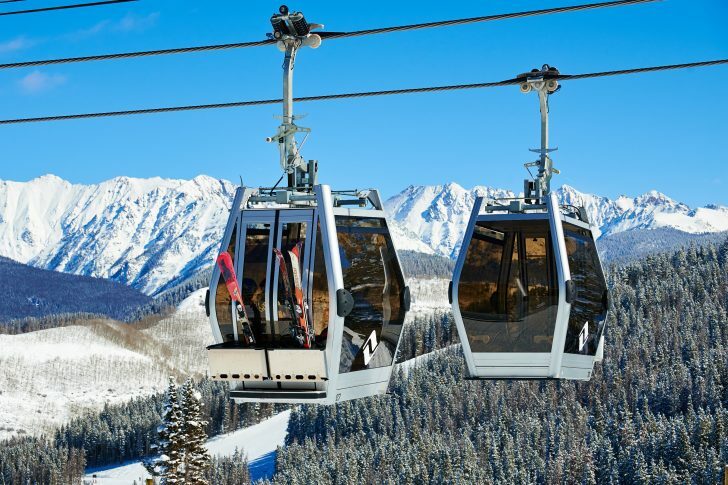 Vail is luxury Colorado skiing at its best. Just did my annual 2 weeks at Vail. Heres some added info . The beauty of Vail is that you can also do Beaver Creek three exits west on I 70. Each have their own charm. Many dont know that the hot dogs at blue ski back bowls were voted the best in the county a few years ago. Not many can get there to eat one however The ribs and pulled pork at the top of the Wildwood lift are a must. Forget skiing. You can now join the new Aribelle Ski club at the Aribelle hotel at a special rate. $150,000 to join and only $5,000 a month. vail schmail. Who can afford it other than multi millionaires. Plus the terrain is very intermediate. You can have it. I’ll take Utah any day. Another advantage to skiing Utah is the easy access from Salt Lake international Airport. Snow is also better in Utah but the. Back Bowls are hard to beat especially for seniors. Many years ago we skied China Bowl off a snow cat and it was awesome, as close to helicopter skiing that I ever experienced.It is still a great p[ace as also Beaver Creek. Going for my first time to Big Sky in less than a week and at 75 yrs. hope for a great trip. I learned in Garmish many ,many years ago. Were you stationed there in the military? I was stationed at the USAF hospital Wiesbaden at from ’74-’77. My kids learned to ski in Garmisch. Hope you had had great snow in Big Sky.